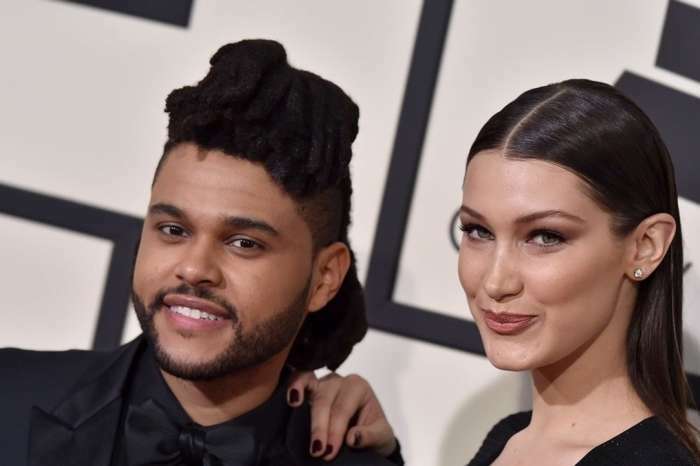 The Weeknd Sneakily Posts Bella Hadid Photo To His Instagram Story — Fans Go Crazy That Abella Is Back On! This could be a sign that the reconciled couple is Instagram official. Although it was a sneaky post that disappeared in 24 hours, The Weeknd was proud to put his lady love on display. Bella Hadid and The Weeknd were spotted in Paris having a date night. The rumored pair was seen at a romantic Parisian cafe and went for a walk after. The R&B crooner went all out — even bringing the model roses. On June 2, a photo of a woman’s manicured hands holding a sugar packet that read ‘sugar daddy’ appeared on his Instagram story. The nails matched Bella Hadid’s exact nail color. Fans were thrilled that their favorite couple nicknamed Abella were being open about their on-again relationship. Do you think the two will last this time? Taylor Swift Gives Heartfelt Speech On Stage In Honor Of Pride Month - Check It Out!